Olaf Diegel is a professor of mechatronics at Massey University of Auckland, a music lover, and a 3D printing enthusiast. In the ultimate merger of passions, Olaf has spent the past several years creating a 3D printed drum kit and several 3D printed guitars using our SLS technology. 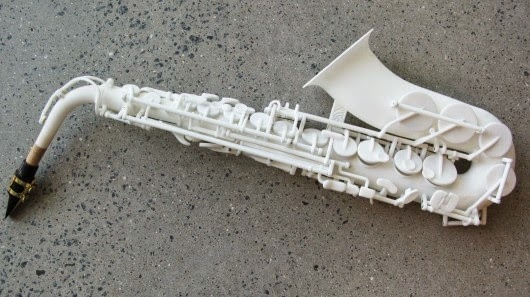 Most recently, Olaf has risen to the challenge of 3DS CEO Avi Reichental by creating a working alto saxophone, which distinguishes itself from Olaf’s previous creations through the intricacy of its function.